Recording artist Carrie Newcomer was not a familiar name to me, but when I learned that she would be performing in concert at the 2008 EEWC biennial conference, A Place at the Table, this June, I wanted to learn more about her, so I checked out several of her CDs, all of which she has recorded on Rounder Records. Her musical styles range adeptly from rock, to folk, country, blues, and gospel. Her rich voice holds echoes of Linda Ronstadt, Bonnie Raitt, and Alison Krauss. A gifted poet, Newcomer writes lyrics that can tell stories or share feelings. Her Quaker beliefs are evident in many of her words, but she doesn’t preach at you. And each album features great instrumental musicians—including Newcomer herself on acoustic guitar, Keith Skooglund on electric guitar, Jeff Hedback on electric bass, and Lance Tolbert on Hammond B3 organ. 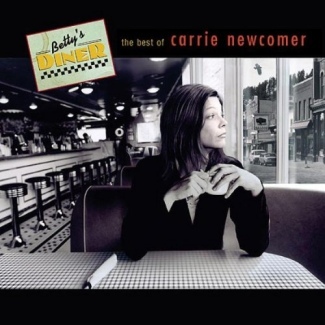 Betty’s Diner (2004) can serve as a great introduction to Newcomer’s work for any new listener. 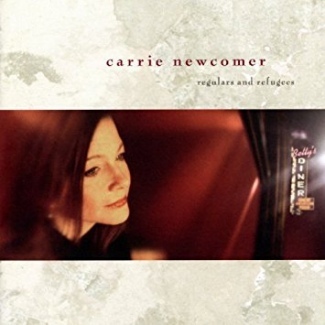 It offers a menu of the best of Newcomer’s songs from her second solo album, An Angel at My Shoulder (1994), to numbers newly released on this album, including the title song, a collection of vignettes about the regulars at a small-town diner. Another new cut on this album is the rocking “Bowling Baby,” which tells about a “bowling alley queen” from the point of view of the guy who rents the bowling shoes and has a crush on her. Four of the fifteen cuts on Betty’s Diner come from her 2000 album, The Age of Possibility. I was happy to have a second chance to hear these songs because either the engineering of Possibility is below-par or my copy of that CD was poorly manufactured, making the lyrics on the entire album hard to understand. The songs sound great musically, but to me, words are half the song. Her 2005 album, Regulars and Refugees, continues what Newcomer began with her song “Betty’s Diner.” Miranda, the waitress introduced in that song, listens sympathetically to the story of each regular or refugee who finds comfort at the diner. The liner notes add narrative details to flesh out the person sketched in the words of each song. But even without the notes, the songs are full of wisdom. For instance, “Be True,” with some great electric guitar licks, tells about the promises and faithfulness of true love. Only when you read the liner notes, do you learn that the song is about Olivia, who remained true to her partner Paula and lost her position as pastor of a local church. Despair and hope sit face to face when you come in from the cold. Let her fill your cup with something kind, eggs and toast like bread and wine. She’s heard it all so she don’t mind. Are just miracles clothed in the commonplace . . .
God walks around in muddy boots, sometime rags, and that’s the truth. Piano, viola, and cello accompany Newcomer’s vocal and guitar on this song, expanding the musical texture of her earlier recordings. Returning to the style of Regulars and Refugees, “Lazarus” tells the story of Jesus’ friend from Lazarus’ viewpoint. Reflecting on his experience of death and resurrection, Lazarus feels out of place in the world of the living and abandoned by the resurrected Jesus. The accompaniment of piano and strings gives it the feel of chamber music. 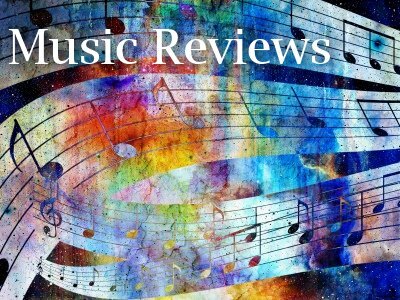 The lyrics of some of the songs on The Geography of Light are more impressionistic than logical, but Newcomer’s rich voice, her deft guitar-playing, and the beautiful arrangements make them pleasant to hear, and certain words stand out, creating images in the hearer’s mind. It’s an album that bears listening to again and again. 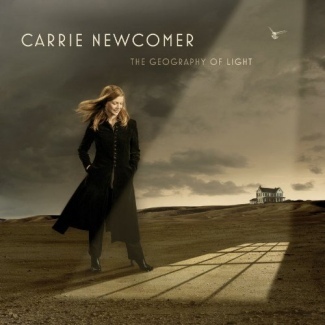 Beginning January 31, Carrie Newcomer is on a national tour to promote The Geography of Light. She will donate ten percent of the profits from tour sales of the album to the American Friends Service Committee. You can visit her website at www.carrienewcomer.com to find out whether her tour will take her to your area, as well as to read the lyrics to the songs on all her albums and to sample cuts from Geography. 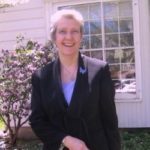 I hope you will all get to know Carrie Newcomer through her website, her music, and her concert this June at A Place at the Table in Indianapolis. © 2008 by Evangelical & Ecumenical Women’s Caucus. Originally published in the Winter (January-March) 2008 issue of Christian Feminism Today, Volume 31, number 4. Lyrics © by Carrie Newcomer, used here by permission.